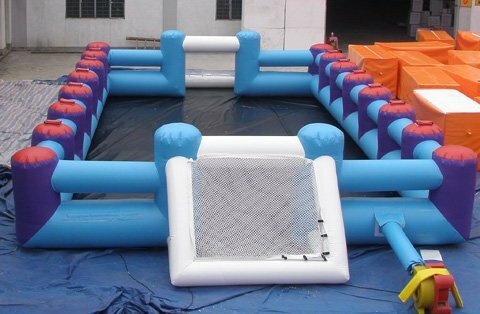 In 2011, Football inflatable able to play with water or dry grass.. There is also two options of playing: Playing with stick, open concept of playing.. It add to your football experiences! !